RMW has received notification that Lawrence Berkeley National Laboratory Building 74 has been certified LEED Platinum by the Green Building Certification Institute. 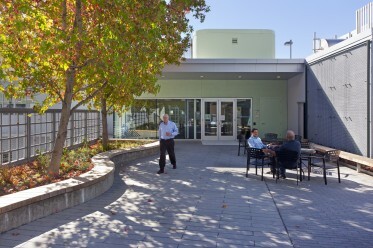 The project is LBNL’s first LEED Platinum certified building, designed to be consistent with the Department of Energy’s Office of Science’s goal to create efficiency in energy use, diverse and reliable energy sources, improved health and environmental quality, and fundamental understanding of matter and energy. LBNL Building 74 traveled an especially gratifying road to sustainability. The 1960’s-era complex is affectionately known on campus as “Frankenbuilding” because it is comprised of several discordant additions. The renovation involved extensive asbestos and lead abatement, and specially trained workers and supervisors were brought in for demolition work in potentially radioactive areas. The renovated Building 74 is occupied by LBNL’s Earth Sciences Division, which supports many research groups dedicated to understanding the whole earth as related to energy and carbon sciences. We wanted the new home for these worldclass researchers to aim high in terms of both sustainability and comfort. RMW’s design brings light and views into the labs by cutting a bank of new high-efficiency windows into the previously windowless middle floor of the east wing. 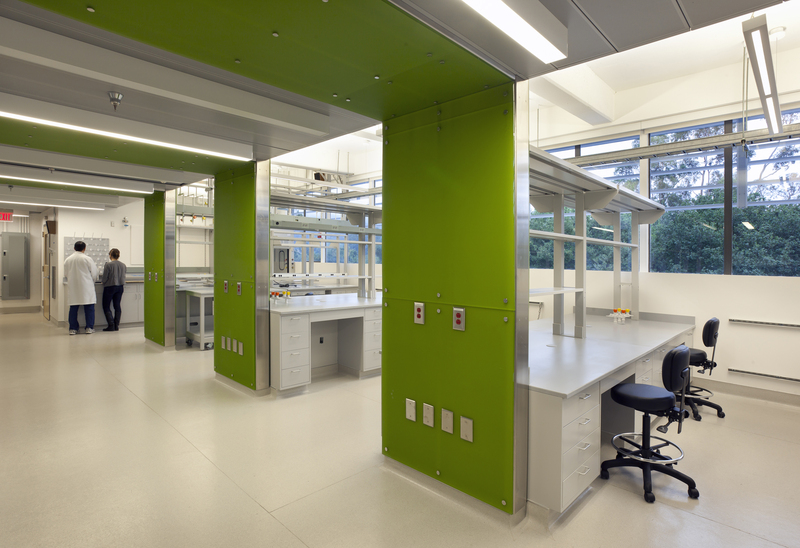 Lab spaces incorporate an HVAC system that ensures 100% outside air. High-efficiency rooftop air conditioning units, a “cool roof” made of sun-reflecting materials, solar hot water heating panels, a new centralized heating and plumbing network, and computer-controlled heating, cooling, ventilation, and lighting enable Building 74 to exceed ASHRAE 90.1, 2004 standards by over 30 percent. For more on LBNL Building 74, visit the project page or contact Traci Vogel, RMW Communications Manager, at traciv@rmw.com.